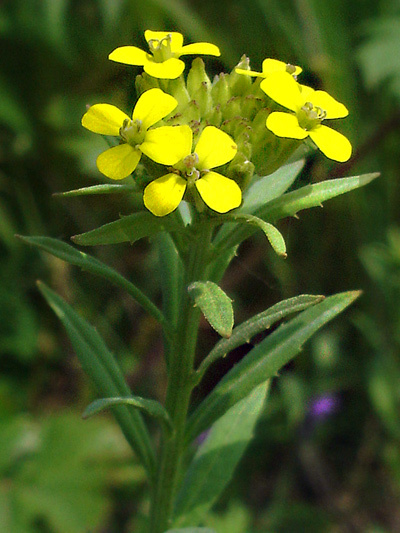 One of the first "mustard" to bloom, the Wormseed wallflower is an introduced rather considered a weed. We give the name "mustard" to many plants of the family Brassicaceae (crucifers) because the real mustards (those that provide seeds used to make this condiment) come from this family, Wormseed wallflower is not a real mustard. The specific epithet "wallflower" comes from the fact that it resembles the common Wallflower (Erysimum cheir) which is not present in Quebec.